A 30 minute phone interview prior to the house-call. A 2 hour in-home consultation to properly assess the baby’s sleeping environment and provide all the sleep science information you will need to then implement the changes required to have your baby sleeping through the night and taking good naps during the day. The package also includes four follow-up phone calls to ensure correct implementation and to support you through this process (approx. one hour of calls). A 4 hour in-home consultation to properly assess the baby’s sleeping environment, be there when the baby falls asleep at night and provide all the sleep science information you will need to then implement the changes required to have your baby sleeping through the night and taking good naps during the day. Four follow-up phone calls to ensure correct implementation and to support you through this process (approx. one hour of calls). A 30 minute phone interview prior to the consultation call. A 2 hour phone consultation to assess the baby’s sleeping environment (through photographs that you email to us) and provide all the sleep science information you will need to then implement the changes required to have your baby sleeping through the night and taking good naps during the day. We recommend a monthly follow up phone call for the first four months after the initial consultation. Your baby’s sleep needs will change significantly over the first eighteen months of life and we want you to feel like you have a real sleep partner in us and that you can reach out to us at any time. PhD, Grad. Cert. Sleep Sci. Natalie holds a PhD in Genetics from the University of New England in Australia and was previously Assistant Professor in the Neurogenetics Unit at NYU School of Medicine in New York City. 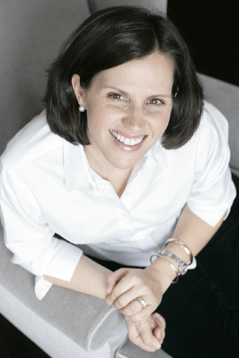 Natalie has a Postgraduate Certificate in Pediatric Sleep Science from the University of Western Australia and has worked as a pediatric sleep consultant for over five years. She is able to apply her scientific knowledge to everyday sleep problems and enjoys nothing more than giving families the gift of sleep.